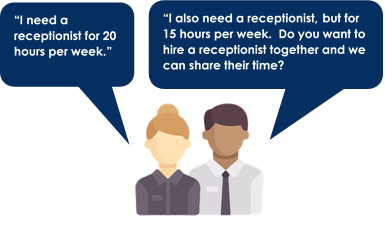 Use this tool to be matched with another local employer requiring a similar skill set and looking to share a non-full-time employee! With your matched employer, you can work out a tailored arrangement that has the potential to satisfy both of your individual labour needs. The information collected about your position will be used to help create employer partnerships for the sharing of employees. In turn, this will provide non-full-time employees with the opportunity to attain full-time or additional hours through the partnership of two separate enterprises in which their skills are transferable. By helping to potentially secure full-time, year-round employment for these individuals, this program will also help to retain talent for both yourself as an employer and the North as a whole.